How did we create beer moments to bring a community together? With over 30 years of history, Granville Island Brewing wanted to find a way to bring people together with beer – creating authentic beer moments to build brand awareness coast to coast. Cue: The BrewSki Tour – a tour focused on visiting different ski resorts and craft brewer friends to have a pint (or two!) and share fireside stories. We banded together with the client to turn the beer experience on its head – using the BrewSki Tour as a way to reconnect with local communities on the West Coast and spread the feeling of snow and suds across Canada. Over $600,000 in PR value across broadcast media, print and online in 1 month! With the client’s solid BrewSki branding, Jive created an immersive atmosphere, blending social media, digital marketing and influencer partnerships. Leading up to the tour, the BrewSki Tour was brought to life online and offline, engaging fans on social media with a host of parties at its local Taproom and at ‘hoppy’ venues across the country. During the tour, we had our ear-to-the-ground (literally!) listening to community fans in proximity to the tour stops and starting social conversations that drove them to follow the adventure. Fans were kept up-to-date with the team blogging the experience on Granville’s website and social media. 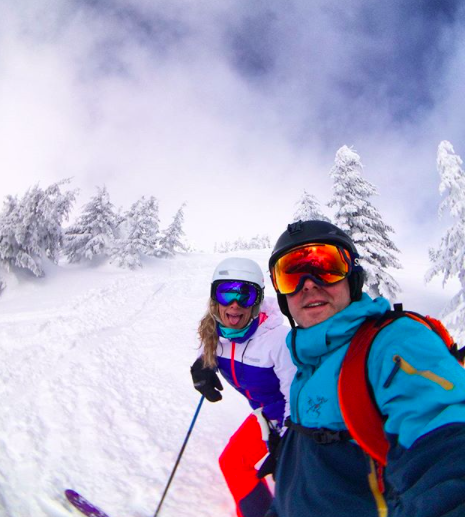 Partnerships amplified the journey with a Hootsuite social media takeover, taking to the slopes and throwing back some après brews. HITCASE prized lucky fans who tagged their ‘adventure bestie’ with a HITCASE Pro and Granville swag. The two-week adventure not only got fans excited, but media soaked up the news too. The tour showcased the brand living its brand, while engaging the community who became brand ambassadors.